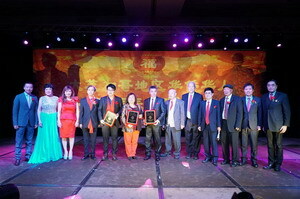 On the evening of February 8th, 2019, the Chinese American Association of Greater Chicago (CAAGC) held the Overseas Chinese Spring Festival Gala at the Drury Lane Theatre in Chicago’s northwest suburbs. 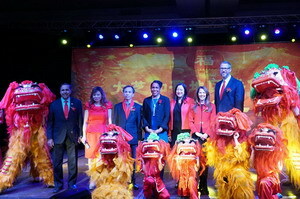 Acting Consul General Liu Jun, Illinois Deputy Governor Juliana Stratton, US Rep. Raja Krishnamoorthi, Illinois Treasurer Michael Frerichs, Cook County Board President Toni Preckwinkle, Illinois State Representatives Theresa Mah and Jennifer Gong-Gershowitz, and nearly one thousand members from over 100 overseas Chinese organizations in Chicago attended the gala. 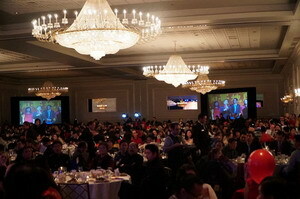 Acting Consul General Liu Jun opened his speech with New Year greetings. 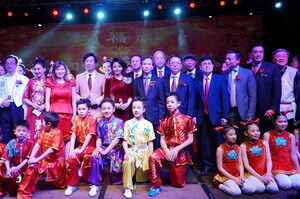 He continued that the overseas Chinese community in Chicago is full of active individuals who have made important contributions to Chicago’s cultural diversity. 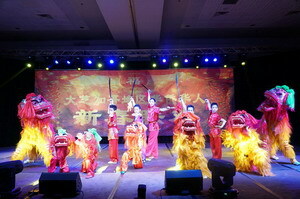 Chicago’s overseas Chinese organizations have always come together in the spirit of cooperation, striving for the welfare of the community, actively promoting Chinese culture, and making positive contributions to the friendly relations between the people of China and the United States. This year marks the 40th anniversary of the establishment of diplomatic relations between China and the US. As such, the Consulate General will commit itself to working with all overseas Chinese and local Americans to promote the healthy and stable development of China-US relations. 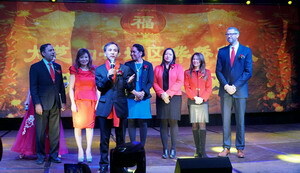 Deputy Governor Stratton, US Rep. Krishnamoorthi , Treasurer Frerichs, Board President Preckwinkle, and State Reps. Mah and Gong-Gershowitz wished the overseas Chinese in attendance a happy New Year and waves of wealth to come. 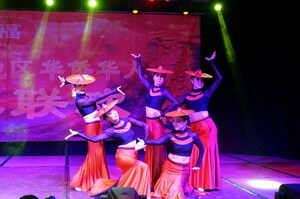 During the gala, over 10 well-known Chinese arts groups in Chicago put on fantastic performances that highlighted the overseas Chinese community’s highest points of artistry. 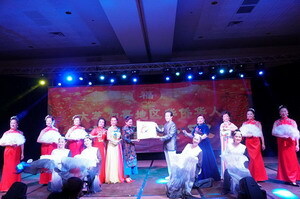 Chairwoman Zheng Zheng of CAAGC said that the overseas Chinese community is here tonight as one family. She wished the community continuous prosperity and hoped that China-US relations, after trudging through tunnels of turmoil, will dig itself out and bask in the bright sun of a friendly future.